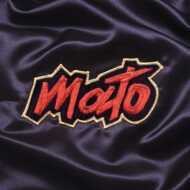 Besides since 2010, Mato’s built a solid reputation thanks to his many remixes of Hip-Hop classics on Stix Records. It is therefore natural to find him back with a new attractive concept on the Favorite Recordings’ sub-label: seasoning the notorious "Homework" by Daft Punk, with his special Reggae-Dub sauce. Once again Mato achieves a brilliant rendition with this “Homework Dub”, making almost dreadlocks grow on the French robots’ heads! Using kick-effects, delays and roaring bass, he reinvents one of the most famous albums of electronic music, as if it was straight-out from Scientist, King Tubby or Mad Professor’ studios in Jamaica.